In order to Change and Balance Your Life, understanding the Nine Levels of Consciousness will bring your Spiritual Self Back in Alignment. The Buddhist perspective of the nine levels of consciousness allows you to understand how you can change and balance your identity based on the Four Quadrants and elements of Life. By understanding who we are, we are able to focus on what is important in life, our true identity. What does it mean? To be balanced? Within the Four Quadrants of Life being the body, mind, soul, and spirit are the four main elements through which the Spirit experiences its journey towards becoming at one with All THAT IS. These elements are The Physical, Mental, Emotional and Spiritual. The journey of Spirit is to find the absolute, where there are no disturbances within these four elements, which are connected and part of the Four Quadrants of Life. In order to find that balance, the spirit will go through many incarnations in life, until that balance it seeks has come into being. Now although the spirit goes through many incarnations along its journey in life, it does not mean that here in the current physical of which you are a part that you can sit back and relax and wait for it all to happen. For you are not the one having the experience, it is the spirit having the experience. You who are in this current physical body are just the vehicle that enables the spirit via the Soul to transverse the many lifetimes to face and learn how to grow from the many elements existing in the world of the physical. 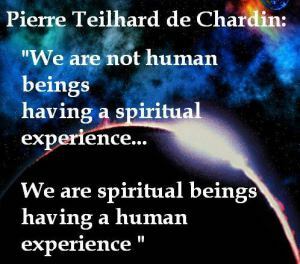 In doing so, the spirit co-creates the Soul that has over time, collected all the knowledge and experiences of past lifetimes including what is to be in this current lifetime. The Soul is the connection between Spirit and the Physical Body while within this; the mind is the connection to the soul and body. Through all such connections, the learning process will continue until it learns and understands the varying consciousness required to gain self-awareness and oneness with ALL THAT IS. This is the balance one is seeking to be connected with all aspects of life and to find that self-awareness within the self. Now depending on your beliefs, the level of consciousness can vary. To some, there are two levels, the lower and higher consciousness. The Sub-Conscious which would relate to the lower forms of thinking. This can also include dreaming and at times interrupt and confuse the next stage known as the consciousness level. This level is generally the one most human beings deal with life most of the day. The third level, which relates to the higher realms of spirit, is the higher consciousness. Yes to a certain degree, these are correct but know that there are many other levels of consciousness that go by other names in the physical form. These are called the nine levels of consciousness. In order to change and balance your life, understanding the nine levels of consciousness will bring in its true perspective your spiritual self back in alignment. This will bring about that self-awareness without the need of dealing with many frustrations that emotions can bring about. Self-awareness is not feeling emotions but accepting them without the attachment one has in the physical world, as we know it. Regardless if the attachments are good or otherwise. The first five levels of consciousness relate to the five human senses that are present on an everyday basis. These are sight, touch, hearing, smell, and taste. Remember; even at this stage depending on your awareness of the above senses many may have more or less of some. 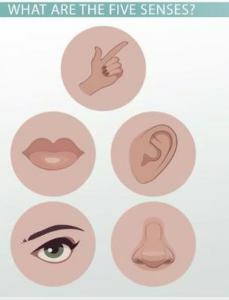 Those who may have a lesser or no use of one or more of the senses such as the blindness or those with a loss of hearing may tend to enhance their other levels. In doing so, this can actually increase and even for many, gain a greater sense of awareness of life. Yes, he is blind yet through the sense of touch and hearing, in particular, he has learned to enhance such senses that have not only enabled him to become a great musician, composer, and singer. 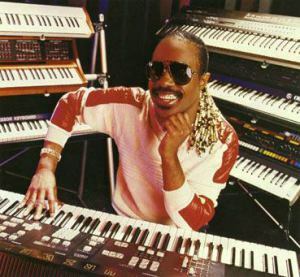 Such enhancements allowed Stevie to become a greater spiritual being as he has learned to go within himself and progress at a higher level of perception than some with all the known five senses. There are many other greats who may not have use of all the so-called 5 senses yet they have all learned to find a balance from within in order to go forward in their life. 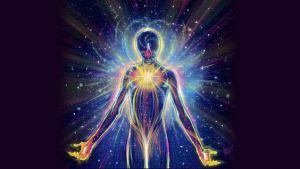 Therefore, the first five levels of Consciousness relates to the first aspect known as the physical or the body. The next level relates to the next aspect The Mind or the Mental. This level is closely associated with the first 5 levels as the mind which in turn supports and corresponds with the human organ known as the brain. Here the mind processes the necessary information from the other senses and connects with the human brain to form the various neurons and synapsis which will relay the necessary actions to take within a split second to the area of the body that is in need of action or response. For the most part, the first six levels of Consciousness is generally where most spend their lives. For others going beyond this which grants greater awareness of life around and within them. This is the level where some form of awareness starts to happen, notice I said awareness, not self-awareness. This is the first point of inner awareness where the mind and often times the human Ego can become concerned with its sense of self. This can become self-destructive, depending on your current awareness in life, can help propel you forward to the next level of consciousness. In other words good and bad ( I prefer to use the word bad rather than evil as sometimes bad decisions are not necessarily evil in nature just a wrong choice at the time). At this level is where the Soul comes into form. When the physical body ceases to exist, all the physical forms such as the brain and other physical parts associated with knowledge and memory also ceases to exist. It is the soul of the spirit, that continues not the body and as such, the soul, which is the higher aspect, continues along its evolutionary path. All knowledge gained from past and present life experiences is stored along with the good and bad deeds of the Soul. The latter is part of the Law of Karma. That such records that are stored go by another name. The Akashic Records which are said to exist within the Astral Plane. The Astral Plains is just one of many dimensions that are above that of the physical world, yet can be reached while still living in the physical body in a various way. 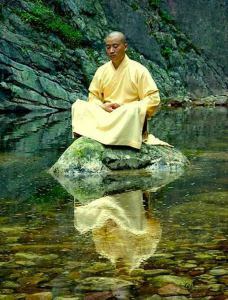 The main form being meditation. At this level, we enter what a higher level known as pure consciousness, well above the soul level. It is here is where the aim of being at one and achieving self-awareness. This is where the journey of Spirit finds the absolute and becomes at one. From the above nine levels of consciousness, we can see that in order to balance your life fully you will need to go deep within and change the life you seek. How do your progress to such levels? As mentioned above entering the Astral Plains via meditation will enable you to connect from within and reach the Akashic Records. Likes many things it takes time and regular practice to reach such levels. To attain higher awareness also takes much practice, patience and time in the physical. For most, again meditation is the way to go. You do not have to go to a cave or become a monk. But you do need to find a place of calm and peace where you can meditate on a regular basis without interruptions. Some forms of mild meditation that can help change your life can be as simple as taking a walk in the woods and just be with nature. Even those walks along a beach can bring a form of meditative awareness. There are many forms of meditation some of which I have listed in the menu above. Regardless of how you meditate, it is important that you find the peace within you that will allow you to find a greater awareness of what is around you. Please feel free to comment on what you have read or what you feel about the various forms of consciousness. How do they relate to you and how have you achieve to overcome many aspects of life, as you know it. Sending you blessing may you find the peace within and may you go forward in life’s journey to self-awareness.